The Italian soccer club Udinese Calcio (more known as just Udinese) was established already in 1896, in the town Udine. They are sometimes called "The Little Zebras" based on their black and white striped shirts. They have so far not won Serie A, but has several top five placements. Udinese has never won the top-level league in Italy. 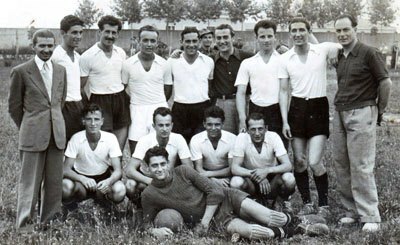 They were the runner-up in 1954–1955 season, four points behind Milan. They are also waiting for the first Coppa Italia trophy. The club reach the final in the competition the first time it was played in 1922 and losing to Vado. They have three international titles: Mitropa Cup (1980), Anglo-Italian Cup once (1978) and Intertoto Cup (2000).